Remember when we caught up with Gabisile Tshabalala, who is more popularly known as Gontse from Scandal!, and found out how she's about to be a mom soon? Well, she recently held her baby shower and we have some of the happy snaps. 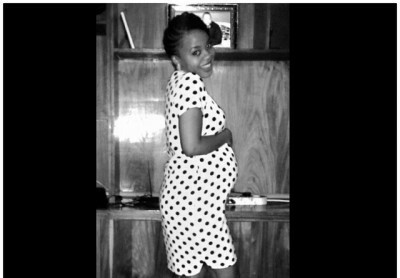 Gabisile who still looks as gorgeous as ever, looks as if she's about to pop and was surrounded by family and friends on the cute day.